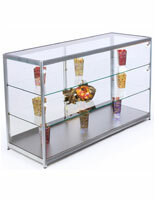 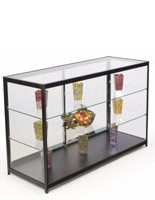 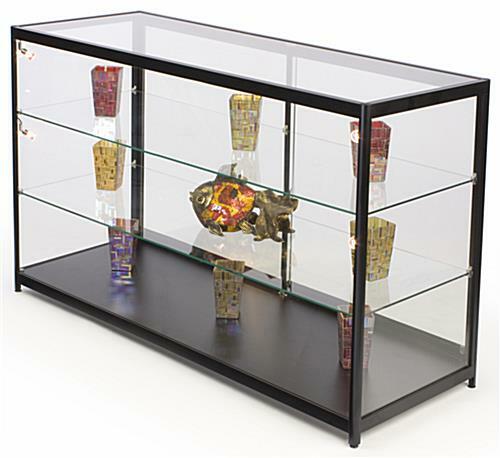 This glass top illuminated merchandise display case is constructed of impact-resistant tempered glass and durable aluminum. 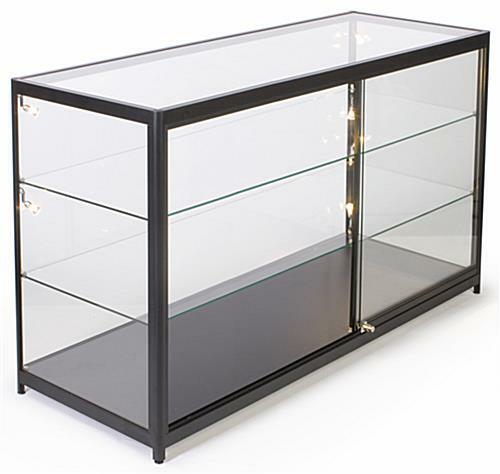 The freestanding black framed retail counter is 38" tall and can be used alone or as part of a cash wrap configuration as desired. 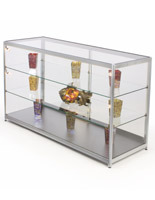 This locking illuminated merchandise display case contains two adjustable height internal shelves with (4) halogen sidelights, as well as lockable sliding access doors for security. 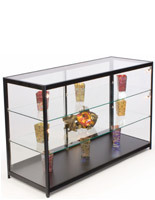 This locking cash counter is ideal for use in high traffic, public areas in stores, offices, hospitality environments, galleries, and schools. 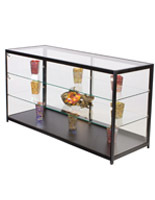 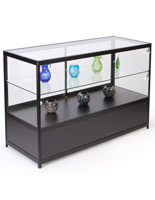 Each 6 foot wide black frame merchandise display case is a superior way to showcase retail products and samples, antiques and collectibles, gallery stock, and exhibit items. 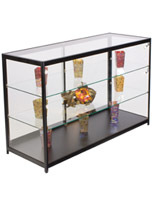 High visibility safety glass construction and lockable access doors ensure that customers will be able to easily browse inventory while ensuring that contents remain safe, secure, and protected from damage or theft.